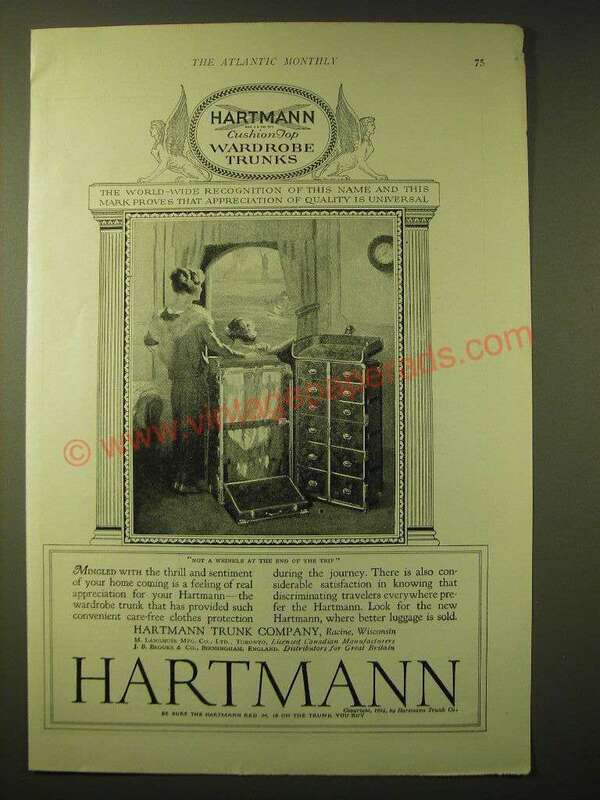 This is a 1924 ad for a Hartmann Trunk Company! The size of the ad is approximately 6x9inches. The caption for this ad is 'The world-wide recognition of this name and this mark proves that appreciation of quality is universal' The ad is in good overall condition, with some light wear. This vintage ad would look great framed and displayed! Add it to your collection today! 1986 Hartmann Soft Pullman Suitcase Ad - Has Hartmann Really Gone Soft?